A high professional grade ankle Brace made especially for athletes that require long time customizable support is Active Ankle CF Pro. • The product is for everyone as it can tailor made according to the need of the user by just using a heat gun and adjusting the foot plate as many times as possible. 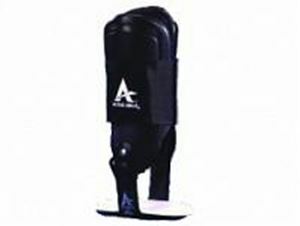 • The non – Plastic nature of the components of Active ankle CF Pro make them highly interchangeable and replaceable. • Easy to use and can fit either right or left ankle.